No matter what your pets get into, keep them clean and fresh with pet shampoo. 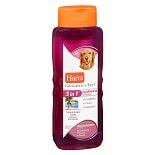 These shampoos for dogs and cats come in varieties for different types of coats and skin concerns. Choose a pet shampoo from Canus, BioSpot and Lambert Kay that can brighten your pet's coat, eliminate fleas and ticks or leave them smelling great. Depending on how often you bathe your pets or how much shampoo you use, you can choose from sizes that range from 12 oz bottles to gallon pet shampoo bottles. Dog shampoo made with natural ingredients will condition and cleanse your pooch. These shampoos can even help detangle your pet's fur. Pet shampoo is available for your puppy, dog and cat to keep them clean, comfortable and healthy. 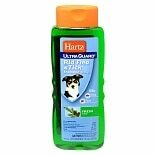 In addition to pet shampoo, we carry a range of pet grooming supplies. To keep your pet's fur under control, browse brushes, combs and trimmers for different types of coats. If you clip your own pet's nails, find clippers here at Walgreens.com that can help prevent cutting the quick and hurting your pet. There are also products for flea, tick and deworming care along with several other available pet prescriptions.